OLD PARKED CARS. 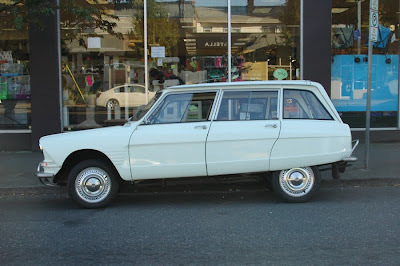 : 1968 Citroen Ami 6 Estate. 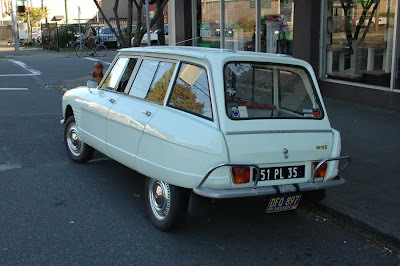 1968 Citroen Ami 6 Estate. you did not see this. Are you saying I didn't shoot it? I can't believe how close to home it popped up. The hood on this thing is the complete opposite of a power-bulge. Hey excellent blog! 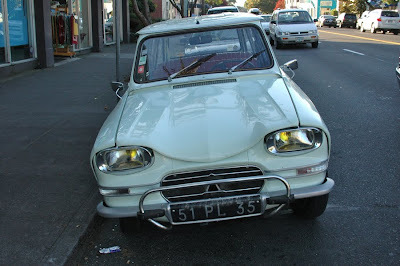 As per the license plates, this thing has come from somewhere near Rennes, in Ile et Vilaine, Brittany, France. How and why one should bother to get that car to the US is beyond my knowledge. Even for European cars of that time it's quite weird looking. This car was not manufactured in the Citroën works but in the former factory of Panhard & Levassor and was originally planned as a Panhard & Levassor model. This company built some of the most technically and optical interesting cars in Europe before it was taken over by Citroën in 1967. Funny car isn't it? 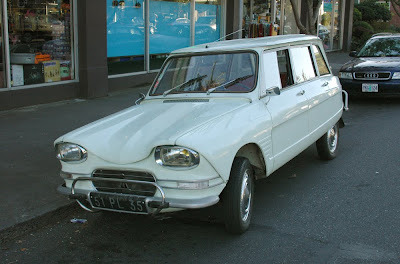 This 1967 Citroen Ami 6 Break use to be mine! And yes the Ami is from Ille-et-Vilaine in Brittany, France. All I can say is Why? Hideous. More proof that the French should not be allowed to build cars. Ugly ugly ugly. Hello from Paris and thanks for your excellent blog. 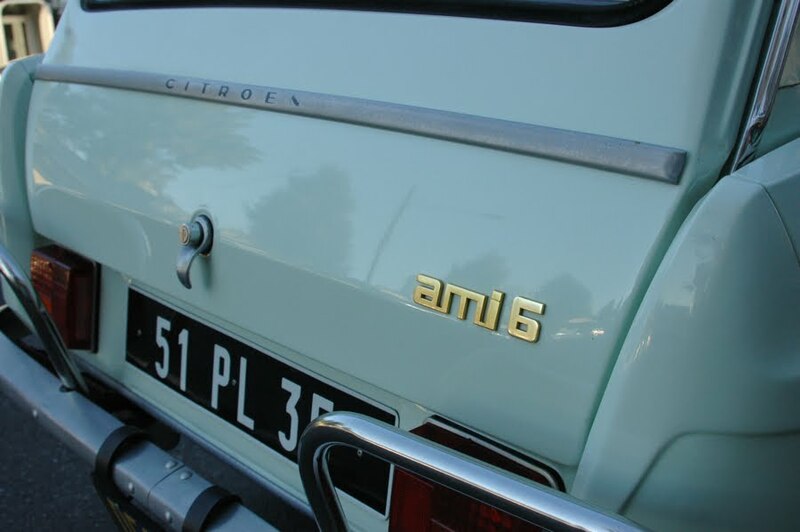 Just a word about this Ami 6, which one of your followers calls a reason to forbid French to build cars ! THAT could be the reason why somebody bothered to bring this thing to a Snowy state of your beautiful country.